Carefully curated pastels and warm colors to invoke romance. Clean and bold designs - emphasis on unusual and bright florals. Unique and remarkable bloom selections. 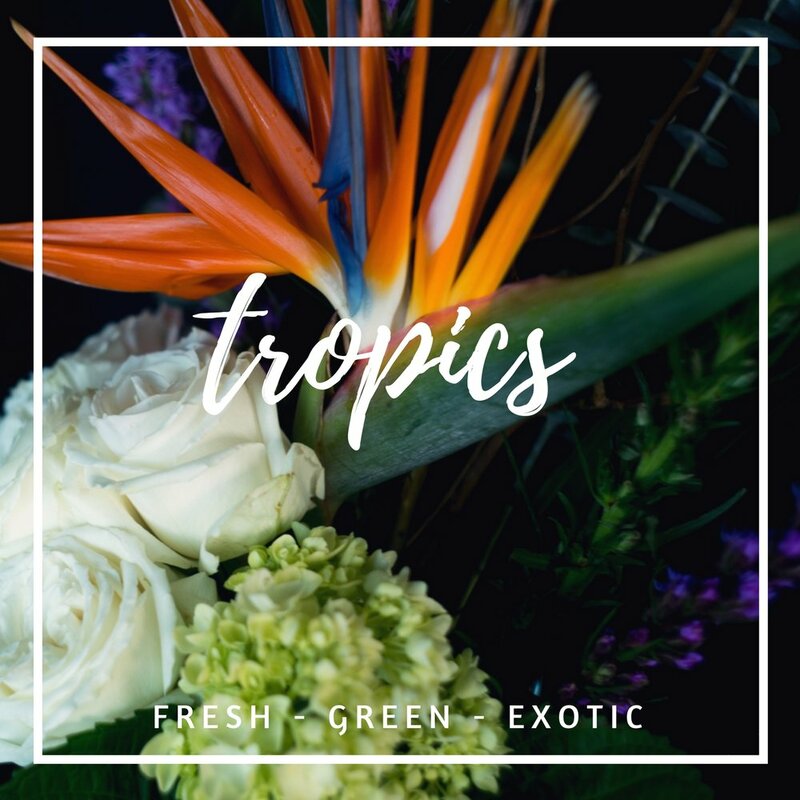 Fresh and exotic choices from tropical farms. Bright colors, big foliage, tons of personality. Don't see the perfect fit for you? Contact me and I will work with you to create a subscription that is tailored perfectly to your home or business.